The reason for doing all the detailed testing that I talked about in my first blog posts, is so that you can create the road map of where you want to go, much like an architect when he or she designs a home. They do not design bits of it for now and then add in more later. They create the big plans of all that must be done. It is really important to have clarity about where you want to go and detailed plans for everything you need to do to achieve your dreams, whether it’s becoming a professional athlete or not. When you do all this, the believing becomes so much easier and you won’t just believe, you will know you can do it! Setting your goals properly, takes time. However if you don’t do it, then most likely you will be drifting aimlessly and going no where! It is an extremely valuable tool and well worth taking the time needed to plan each step of the way. Essentially the goals become your stepping stones to success. Failing to plan is simply planning to fail! After completing your technical, tactical, physical, mental and other assessments, you will soon realise you have lots of goals to set which may seem quite daunting. Don’t despair! To make you goal setting easier, I have designed a five-step process for you to follow which ties in with the assessments you did back the first blog posts. At the end of this series of blog posts, you will find a worksheet where you can record your goals. Let’s begin today with Step 1, by getting set for success! Create BIG goals that really excite and energise you. The first rule in writing your goals is to use positive, powerful words that really excite you, ignite your passion and make you want to get out of bed each morning and get going! For example earning a certain amount of money does not really excite you – after all it is only coloured paper, but it is what that money will give you that is the exciting part. Think of what you will gain by achieving this goal and what it might cost you if you don’t reach it? Likewise, if you are going on a diet, the big reason is not really to lose a few kilograms but to become fitter and faster and feel fantastic. Now that is much more reason to lose weight than merely reach a lower number on the scales. Likewise we don’t really want to run simply to get a better time on the clock. It is much more exciting to see yourself getting fitter and faster and when you continue to do that, your performance and your results will only improve. Many people have differing views on this concept. Initially I did this with my athletes. All we focused on was constantly improving and of course winning took care of itself. I remember training Pat Cash in the year before he won Wimbledon. We never once discussed winning Wimbledon and yet of course, it was his dream. Instead we focused on all we needed to do to achieve that dream, technically, tactically, physically and mentally. No stone was left unturned. Over the years, I changed to creating outcome goals for athletes too, like winning a particular event. After all, that was their dream and it was most certainly the reason for them getting out of bed every morning. However, when you focus on outcome goals, you can be setting yourself up for failure. On any given day, we cannot control other variables and things that could happen, let alone your opponents. You may even play your best ever game or run the fastest time and break a record and someone else still beats you and thus in your eyes you have failed! 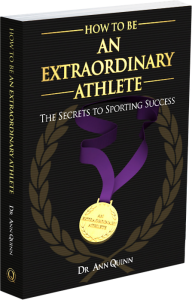 You may not have won the gold medal but to perform your best ever is certainly no failure. I now only set performance goals and focus with athletes on how they will get there and the winning takes care of itself.